National Security Agency (NSA) leaker Edward Snowden has opined that last week's National Broadband Network (NBN) raids in Australia last week are a misuse of the Australian Federal Police (AFP) power. 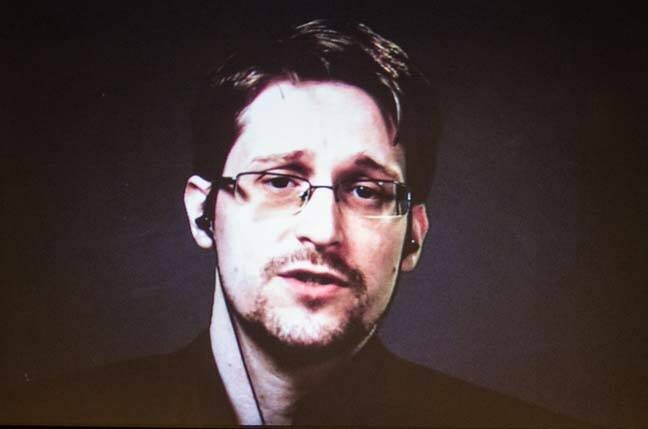 Snowden appeared via satellite link in the Australian city of Melbourne last night, live from Russia where he resides under temporary asylum after leaking classified documents that revealed the extent of the modern global western government intelligence apparatus. The AFP Friday raided the office of Labor power-broker and former comms minister Stephen Conroy and the home of a staffer of shadow communications minister Jason Clare. "[The raids] were ordered because there was a scandal involving the NBN where there has been incredible cost over-runs, it hasn't been as effective as it should be - it is embarrassing for the current government," Snowden told a packed audience. "Is it the role of the Australian Federal Police to uncover the private sources of journalists, of parliamentarians, who are revealing information about scandals, revealing information about waste, revealing information … of public importance that voters need to know? "Is this is what the Australian Federal Police is there for? I don't have an answer for that .. but if you don't know that it (NBN failures) is happening, how can you do anything about it." Snowden says confidentiality of sources is key to a free press and an informed society. He told the audience Australia's approach to whistleblowers is more draconian than the US thanks to what he claims is a lack of intelligence agency oversight. Edward Snowden at Think Inc. Image Darren Pauli / The Register. "We haven't seen new restrictions, new oversight of intelligence services in Australia which are in fact much more unrestrained than they are in the United States despite how dire the situation is there," he says. "We have seen intelligence services in Australia become worse." Snowden cites the nation's "drag net" data retention and anti-whistleblower laws in which citizen metadata is retained for two years, and those who leak national security documents may be imprisoned. However, he says official internal channels should be considered as the primary avenue for whistleblowing over going to press. But he adds whistleblowers who go through internal channels can be ignored, or worse, penalised. Former Pentagon investigator John Crane has today told The Guardian how the agency became a trap for whistleblowers, including forerunner NSA leaker Thomas Drake. Crane claims documents necessary to Drake's defence were destroyed. Declarations that someone does not care about privacy is one of the 'least intellectual' positions, Snowden says. "If someone is saying I don't care about the right to privacy because I've got nothing to hide' that's no different to saying 'I don't care about freedom of speech because I have nothing to say'," Snowden says. "it is the least intellectual thing, the most anti-social thing I can imagine." The privacy pundit backs his argument by citing the ubiquitous mantra of the pro-surveillance crowd "if you have nothing to hide, you have nothing to fear" attributing the quote to Nazi propaganda minister Joseph Goebbels. He says any Australian minister parroting that line should be "marked off forever". Snowden also spoke of the power of metadata, suggesting it is more valuable than content because it provides the investigator with similar intelligence while often foregoing the need to acquire warrants. He says it is easy to use internet subscriber metadata to determine the news sites a target has visited by fingerprinting the data size of articles and matching those to the data consumed in a given session. Darren Pauli attended the Snowden lecture as a guest of Think Inc.